TrikeBuggy Bullet Chosen for SOAR Unit! Chooses the TrikeBuggy Bullet for Testing! 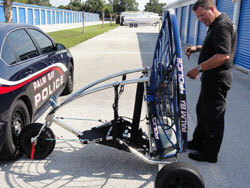 The Palm Bay Police Department’s S.O.A.R. Unit provides aerial support for the agency utilizing two unconventional aircraft known as a powered parachute and powered paraglider. These aircraft provide aviation alternatives for agencies that can utilize air support but cannot afford the costs associated with traditional aircraft. The benefits to these aircraft are low acquisition costs, low operating costs, they are very portable requiring no hanger to store the units, they are easy to learn to operate, and safe to fly. With a geographical service area of over 100 square miles, these two aircraft provide the police department with aerial capabilities far below the operating costs associated with traditional aircraft. The “low and slow” method of operation with these air units provide the pilot/officer with an un-obscured aerial view of the City and of isolated areas not easily accessible by other means. The S.O.A.R. Unit is using an aircraft known as a PPG (Powered Paraglider). This form of aviation is classified as an ultra-light consisting of a compact motor (weighing about 50 lbs.) carried on the pilot’s back and a parachute-type "elliptical wing". The portability of the unit allows it to be transported in the backseat or trunk of a patrol car and deployed in open areas with no surrounding obstructions. The PPG can be foot-launched (where the pilot runs several feet until getting airborne) or mounted on a small trike where the pilot is seated. A PPG can fly between 20 to 30 mph with speeds increasing in a tailwind and decreasing in a headwind. Fuel capacity is 3 to 4 gallons of gasoline allowing for a maximum flight time of about 3 to 4 hours. A Powered Paraglider is currently the most inexpensive and portable manned aircraft available to date. 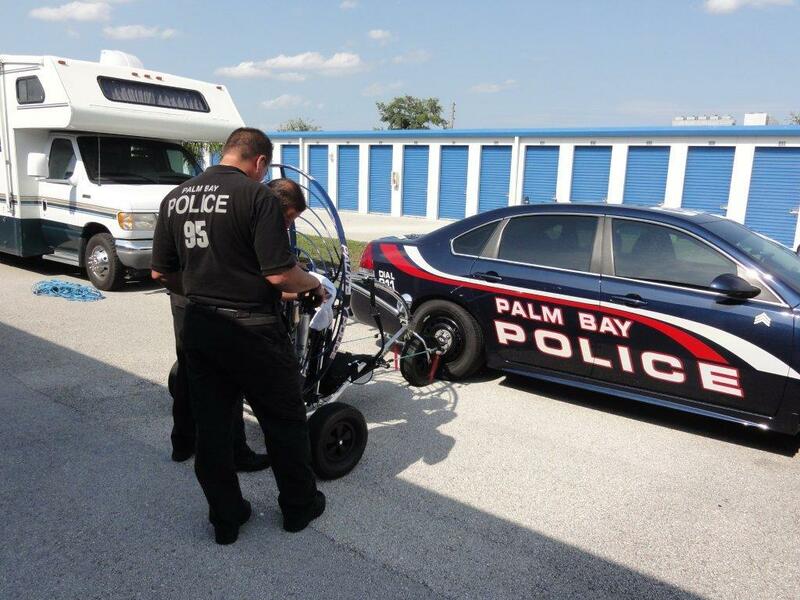 The Palm Bay Police Department has teamed up with Parajet and Paramania to evaluate the use of PPGs in law enforcement. These two companies provided the equipment that successfully took Bear Grylls (star of The Discovery Channel’s program "Man Versus Wild") over Mount Everest on May 14th, 2007, at a height of 29,400 feet. Parajet has supplied the S.O.A.R. Unit with two paramotor models; a Volution Compact and a Volution Macro. Parajet custom designed the two paramotors specifically for the Palm Bay Police Department and has graciously provided the units at no cost to the agency during the evaluation period. 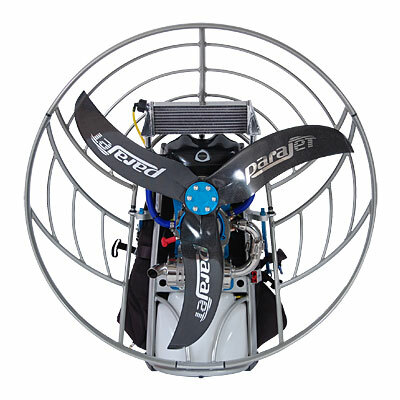 These paramotors are powered by a 22 hp, 172cc two stroke motor. They are also equipped with electric start making it very convenient for the pilot to start and stop the engine in flight if necessary.